I went to visit my blogger pal Alice in Birmingham this weekend and had such a wonderful time. It’s the first time I’ve been out of Bristol alone in a very, very long time and even though I was really scared, I’m so glad and proud that I did it! I must mention that this post is a collaboration and the spending money was kindly gifted to me by Hotels.com, but all views and ideas are my own. I also decided to stay overnight with Alice at her house too, despite not needing a hotel in Birmingham, there are some fabulous and affordable ones dotted around near the centre to stay at if you need to on a trip! These would be my top picks for things to do in Birmingham. I always find myself completely overwhelmed by how huge this place is, in the best way. I swear it just has every shop you ever thought you could need. It caters for all budgets in different areas and even has individual stores for makeup brands which, as a beauty blogger, I absolutely adore. The Bull Ring is the perfect place for any shopaholic. Selfridges is SUCH a dreamy store full of top drawer products and designer brands. As far as I am aware, there are only 4 of these in the UK and the one in Birmingham stretches across a massive 4 floors. Selling the most prestige food, beauty, fashion and gifts, this store is sure to pull you in for longer than you thought possible. Visiting a Cadburys chocolate factory just sounds like a dream to me to be honest. According to the website, there are a lot of interesting attractions to see followed by a Cadbury cafe and huge Cadbury shop before you exit. There’s also an opportunity to do an afternoon tea experience if you visit on a weekday, Al and I are planning to do this next time I visit and I am SO excited. Obviously I have visited Birmingham just before Christmas so I was lucky enough to catch some of the lovely Christmas market. 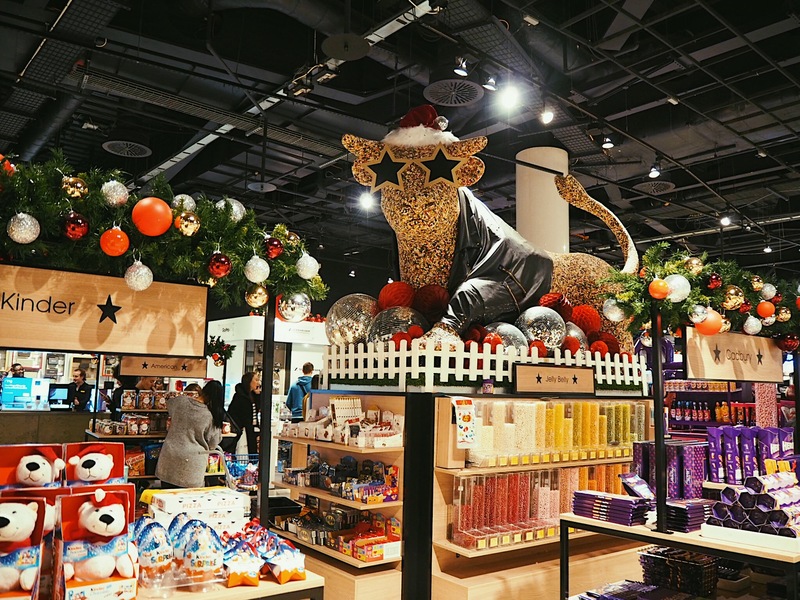 It’s full of lots of homemade trinkets and fascinating gifts, yummy pretzels, marshmallows, hot chocolate, German beer and the classic huge hotdogs! As well as the fabulous decor, all the beautiful lights and that festive atmosphere. I’d definitely recommend stopping off here if you’re able to. Birmingham is one of the main cities in the UK so it’s bound to be full of everyones favourite chain restaurants and bars aswell as a few of its own independent gems. I can’t say I’m personally much of a party girl but I’ve been told by others that it’s also a great night out. Some of the popular restaurants Birmingham hosts in its city centre are Las Iguanas, The Botanist, The Alchemist, The Lost and Found, Harvey Nichols, Browns, Cosy Club and many more! The only shows I’ve attended here are Blink-182 and Paramore, it has been renamed a few times and I believe is now just known as the Arena Birmingham. They have had and continue to host many incredible acts and events from Elton John and Take That to Def Leppard and KISS. They definitely have something for everyone and there’s nothing better than getting lost in live music that you love. Do you have recommendations for fun things to do in Birmingham? "Autumnal Animal Print Faux Fur Outerwear!" "Chronic Confessions With Cara Mccall!" Birmingham is great, I may be biased because I live here, but there’s so much to do! 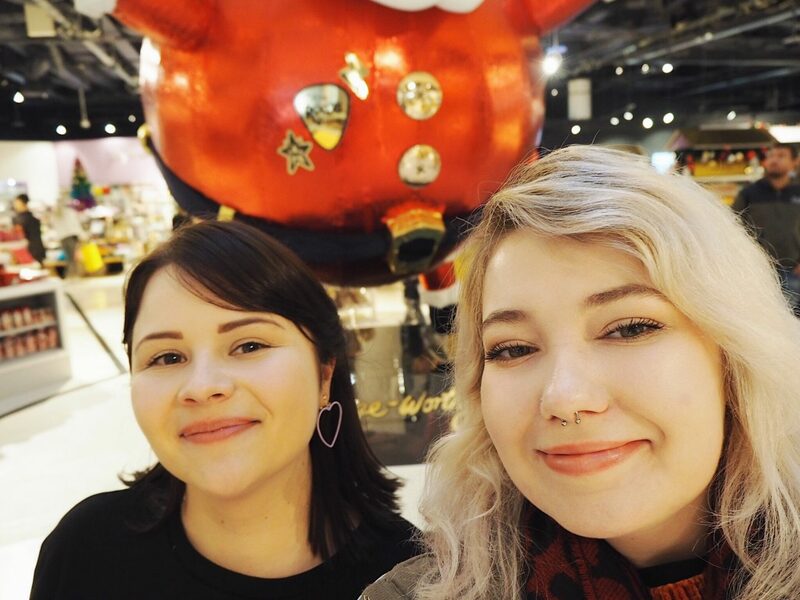 Glad you had a nice time though, Selfridges is amazing, especially at Christmas as well, it looks great and they always have such a great atmosphere! Lovely compilation of some must dos in Brum. It really is a city with lots going on. I’ve been covering some of its restaurants and attractions on my blog, but I in general love the vibe of Birmingham.